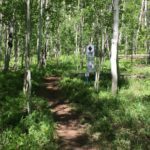 A new trail that connects near the start of the Upper Loop with the West Side trail at Crested Butte Mountain Resort. This trail serves as a means to go from the Town of CB to Mt. 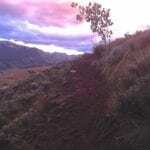 CB all via single track – both directions. Starting in the Town of CB, take Tony’s Trail, the Upper Loop, and Happy Hour to access CBMR trails, Meander to Snodgrass, and much more! Rides great both directions, and a great way to access Crested Butte from Mt. Crested Butte. At CBMR we live Our Dream of being “Colorado’s authentic four season mountain resort where guests connect with the land and each other.” We are passionate about this place, the land around us and our community, where we live, work and play. You will often hear words like “real”, “true”, “authentic” and “genuine” about Crested Butte, as it truly is a place to unwind, relax and partake in endless adventures with family and friends.